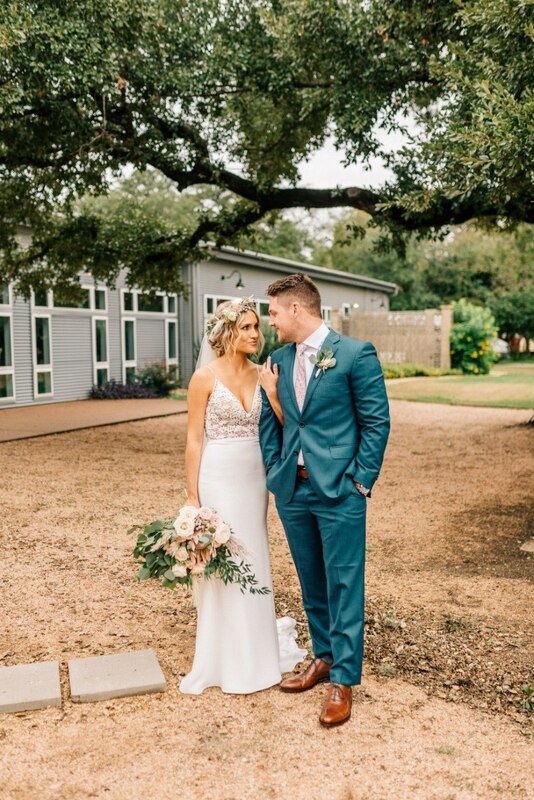 In today’s Ask the Experts Q&A, we’re chatting with local Austin wedding planner, Kristin Catter from Kristin Catter Events! With all her wedding planning knowledge on the bridal realm and what is currently and soon-to-be trending in the wedding market – Kristin is your gal. Planning a wedding can be hard and super stressful, but no fear because Kristin’s pro advice is sure to help you plan well. Keep scrolling to read her invaluable tips! Jewel tones. Deep greens, jade, plums and dark golds. We are going to see more color going into 2019; but the minimalist greenery is here to stay. We are going to see greenery stylized in new ways with installations and sculptural pieces versus the heavy garlands we have seen in 2018. Chrome and rust are the new mixed metals. We are going to see these metals replace gold, silver, brass and copper that we have seen dominate in previous years. Hiring a wedding coordinator is important for so many reasons. Down to the most basic reason – someone needs to organize your day. Hiring a coordinator is putting someone in charge of the chaos. More specifically, a wedding coordinator’s job is to know the best in the business and be able to make sure you get that quality of service within your budget. It’s easy to look at a vendor’s work and appreciate it and want to book – their job is to sell the dream. Our job is to sell the dream that won’t turn planning your wedding into a nightmare. It is supposed to be fun. A coordinator is there to be your advocate, keep you focused, organized and on budget. The most important thing we tell all couples on their wedding day is to be present. Remember to take the time to enjoy your wedding day together. It really does go by in the blink of an eye, and at the end of the day you want beautiful lasting memories between your family and friends. Most importantly, you’ll want memories between you and your partner that you’ve chosen to enjoy and remember the rest of your life together. Do not sweat the small things; this is why you have hired professionals. In order to plan and coordinate a cohesive event, you need to have a clear image and plan of what you envision your day to be. We do not want your wedding to look like a Pinterest board that exploded. Being upfront and honest with what you want, and how you want it represented is the key to a well thought out event. Personalization is one of the best parts of a wedding, in my opinion. Almost every guest at your event has been to a wedding; however, they haven’t been to YOUR wedding. We focus on helping our clients come up with creative ways to bring their personalities through their event, so that we can tell their story. Whether this is in signature drinks, the food, a late night snack, the music, ceremony verbiage, decor or signage. We want to highlight our couple’s tastes in those details that will cause your guests to say, “…that is so ______.” We want your guests to walk away from your wedding and talk about all those extras that made them smile, laugh and cry. There are so many factors that go into selecting a venue. We encourage all of our clients to consider their tone, budget and rain plan. The hardest thing to remind your client about is the logistical side of a venue. So many times they see a space and start reacting to it emotionally without thinking about all the options. We always walk through a rain plan while on site. If a client doesn’t love their rain plan, they shouldn’t book that venue. A venue sets the entire mood and tone of your event. You wouldn’t want to host a traditional, classic-ballroom wedding in a barn, just like you wouldn’t want to two-step in cowboy boots at a ritzy hotel downtown. Take the time to discuss the theme of your day with your partner, so you start your story on the same page and can end it the same way you wrote it – together. Finally, the budget. This is the biggest hurdle and it ties back in to logistics. Every venue offers different options. Some are a blank slate, some include rentals, some offer longer rental times. It is important to us to discuss those options with every client and how they will effect that bottom line. Every venue has positive and negative features, and it is our job as coordinators to educate our clients so that they can make the best choice based on their aesthetic and budget. Special thanks to Kristin Catter for sharing her advice with us today! 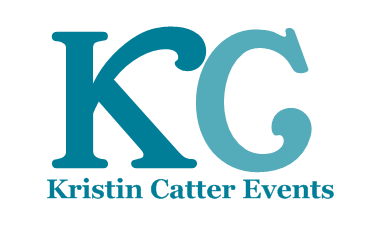 To get in touch with Kristin directly, you can message her via her vendor profile here.